Origin of the German Trauerspiel was Walter Benjamin’s first full, historically oriented analysis of modernity. Readers of English know it as “The Origin of German Tragic Drama,” but in fact the subject is something else—the play of mourning. Howard Eiland’s completely new English translation, the first since 1977, is closer to the German text and more consistent with Benjamin’s philosophical idiom. Focusing on the extravagant seventeenth-century theatrical genre of the trauerspiel, precursor of the opera, Benjamin identifies allegory as the constitutive trope of the Baroque and of modernity itself. Allegorical perception bespeaks a world of mutability and equivocation, a melancholy sense of eternal transience without access to the transcendentals of the medieval mystery plays—though no less haunted and bedeviled. 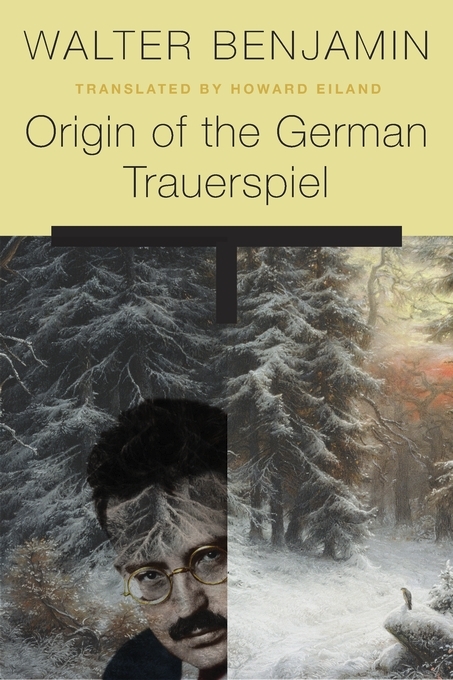 History as trauerspiel is the condition as well as subject of modern allegory in its inscription of the abyssal. Benjamin’s investigation of the trauerspiel includes German texts and late Renaissance European drama such as Hamlet and Calderón’s Life Is a Dream. The prologue is one of his most important and difficult pieces of writing. It lays out his method of indirection and his idea of the “constellation” as a key means of grasping the world, making dynamic unities out of the myriad bits of daily life. Thoroughly annotated with a philological and historical introduction and other explanatory and supplementary material, this rigorous and elegant new translation brings fresh understanding to a cardinal work by one of the twentieth century’s greatest literary critics.